Ok.. I kinda liked it, but I think it had A LOT in the first episode! Its like what will they have left for the rest of the season?? It was very indepth. 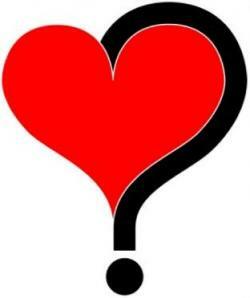 So many relationship dynamics were adressed in the short time & drama drama draaama! Anywho, if you didnt see it..catch it after the jump! My girlie Graham Knox posted this cool lil video on facebook the other day. Way cool!! Would this make you think twice about taking the stairs?? Many people take this holiday as an opportunity to party, get drunk, eat well, and get with friends. 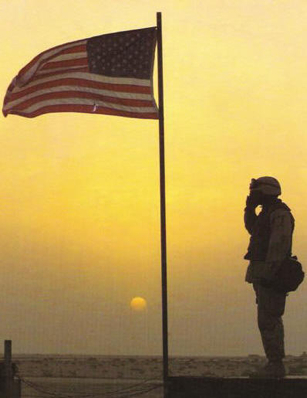 Which is fine as long as you dont forget that this holiday is set aside to honor the lives that were lost serving our country (even a good time to honor the people who have passed on in your life as well). I dont know about you BabyKayKs, but I love this Ariel look on Rihanna! She's such a fasionista, she hasnt really gone wrong since she dropped (on the fashion tip), but this look by far is my fave..the red locks are gorgeous on her! Anywho, Rih was spotted out in NY headed into a tattoo parlor with a looong fitted black dress, some kicks, black shades, & a denim prada bag.. weeerrkk :) S/O to RihannaNavy..this post is for yall.. more after the jump! Sooooo... the lil black dress has been it for forever, but I feel a shift in my spirit. LOL... Ive been noticing how white (year roud!!!) is becoming more and more popular. One staple that you must have in your closets ladies is the little white dress. 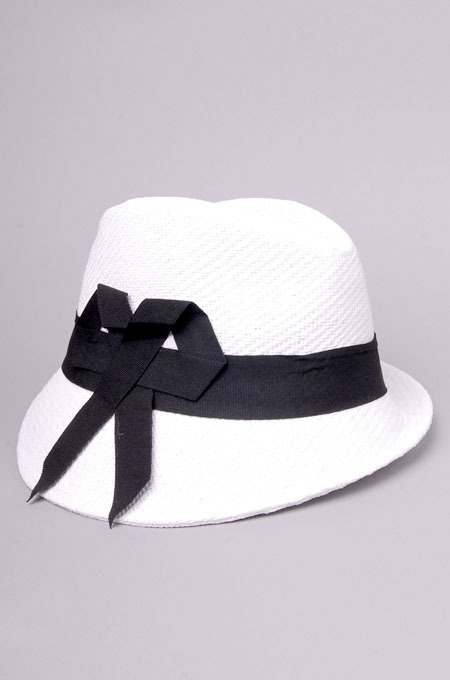 I mean, its adorable, fresh, and perfect for any summer adventure! I happened upon this image on instyle. Cameron looks omazing in her get up.. but they had this missselfridge piece for under $100 for those of us not on a Cameron Diaz budget. lol.. get your LWD before the summer hits hard ladies.. you'll show out in it! STOP THE WORLD: Dawkins & Dawkins is BACK!!!!!!!!!!! I remember growing up and stealing my parents, older siblings cds. A few I remember ganking; Brandy, Boyz II Men, Men of Standard, Kim Burrell, & Dawkins n Dawkins! These brothers were SO far ahead of their time. Their album "Focus" released in 98' could eeeasily be in rotation today and smash!!! Im saying, you guys have no clue how excited I am. Its been a loooong wait for us fans, but looks like an album is on its way! Check out their new single after the juuuump! 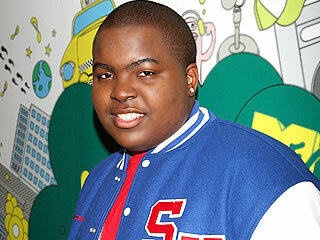 BREAKING NEWS: Sean Kingston in critical condition! Sad to report, Artist Sean Kingston is reported to have been in a jet skiing accident today in MIA beach. He was pretty badly injured earlier today. This is an ongoing story so stay tuned for details! 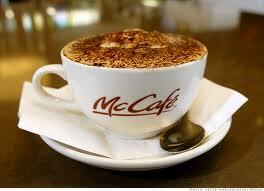 Price for coffee increases but consumers need that fix! Not only are consumers paying more money for gas these days, but the price of coffee is outpacing the pump. Coffee drinkers may have noticed the uptick in brewed or packaged coffee, but are willing to pay for cheaper coffee instead of giving it up. The drink remains essential for many consumers. Price for Folgers and Dunkin' Donuts coffee has increased 11 percent, for the fourth time in a year. Prices of Kraft and Starbucks coffees have increased as well. New Music: Diggy Realeases First Single, "Copy & Paste Me"
#TEAMDIGGY! You guys know I love this guy, and we've all been waiting on his album to drop. Here is the closest thing to it so far, his first single, "Copy & Paste Me". He and daddy Rev. Run have been pushing the link to it pretty hard on twitter. Hopefully its not too different from what fans expected of him, I think its a good shot at a first single considering whats on the radio these days. One thing I do know is that Diggy is uber talented and whenever this album drops it will be worth the wait! This isnt really for the true musically inclined.. we already know Bey has incredible moments when she wants. But for those who didnt know.. this is Bey (click her name if vid doesnt work up top) with only her voice, in a dressing room.. GIVING! Sometimes you need perspective. You’ve been right in front of greatness so often that you need to step back and see it again for the first time. This is the dressing room rehearsal for American Idol. NO MICROPHONE. No effects. Just after a small listening party for what turned out to be Kanye's My Beautiful Dark Twisted Fantasy album, Rih and Kanye went straight to work. You can hear Kanye talk about changing the title of All of the Lights. Rih sounds like she's been partying for sure, and of course Yeezy is talking fashion of some sort. Supposedly he thinks he has the best collection of leather pants. Gotta love this guy's ability to big up himself. Rihanna was preparing to record one of my favorite songs from her Loud album, Man Down. Check the finished product of these sessions after the jump if you've never heard it. Speaking of Idol..did yall see JLo Weeerrrk Performance w. Hubby Marc Anthony?? Yo... JLo went in last night in this performance w/ her husband/baby daddy Marc Anthony (who aslo gave a great performance though after wifey came on stage all attention went to her lol) Loved this because JLo really is a great dancer before anything in my mind. Plus I just love seeing couples winning together! 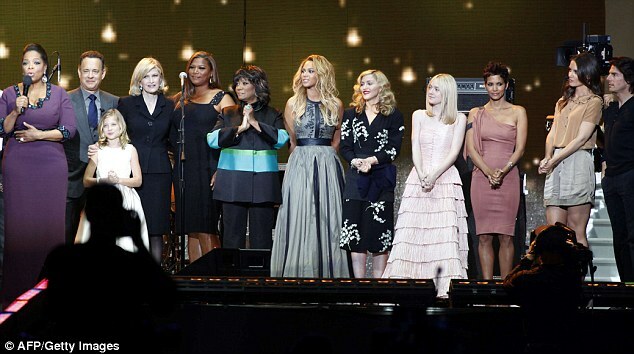 Beyonce, TLC, Kirk Franklin, Gladys Knight & More perform on American Idol's finale! This was such an amazing finale! I mean, they really pulled out the stops! Lets start with the fact that you have Beyonce AND Gaga on the same bill LOL. Bey performed a medley of hits with the female finalists as well as her new single 1+1.. Im gonna need more time to let that one sit ..not sure how I dig it. CONGRATS: Kim Kardashian is ENGAGED! & Khloe Reacts! I remember listening to a local radio station here in Atl a few months back having a long debate about how no one would ever marry Kim. I was so offended by the conversation, because in my mind Im like... who are we to say whether or not someone is worthy of marriage....? I also adore the Kardashian's reality show, and though I think Kim has some ocd going on (Yes Khloe I agree! lol) I knew that she just needed to find the right person.. and byyy golllly looks like he's arrived! 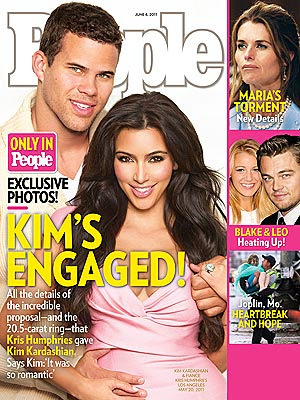 Kris Humphries proposed to Kim with a custom made 20.5-carat Lorraine Schwartz diamond sparkler at her home with rose petals spelling out "Will You Marry Me! It was a total surprise, she had no idea! For more & to see Khloe's reaction read on! 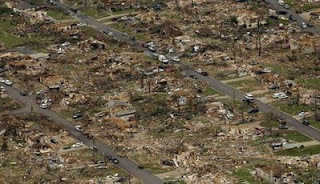 An overview of a neighborhood in Joplin flattened by a tornado on Sunday. Week after week, mother nature wreaks havoc on the world. Natural disasters are dominating the news, most recently with tornadoes and storms across the midwest and south. Joplin, Missouri on Sunday and various parts of Oklahoma on Tuesday. More & actual video footage after you read on! 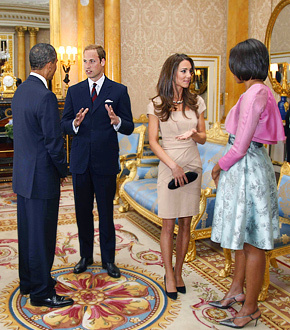 One Royal Couple to Another: President Obama & First Lady Meet Prince William & Duchess Kate! This is a great picture! Not long after arriving in London, our President and First Lady were introduced to the new Royal couple. You know Prince William & Kate..the wedding of the century?? Yea.. that Royal couple! Once President & Mrs. Obama arrived at Buckingham Palace, they were greeted by Queen Elizabeth II and Prince Phillips. The Royal family pulled out the stops for our First couple with a rare 41 gun salute in their honor. The First Couple will also stay in the same room the newly wedded Dutch & Dutchess of Cambridge stayed in on their wedding night! Am I the only 1 not 100% Moved by Amber's "Beyonce, Girls Dont Run the World" Vid?? I like how she speaks. I love that she's educated, and that she has an understanding of the present struggle that all women are facing today. This self proclaimed Vlogger & Thinker (according to her twitter page) has put a video out that many people are flocking to and even agreeing with.- Even I must give her kudos for her truths that she clearly spoke, but there is just one problem I have with it. So in case you didnt know, Keyshia Cole & her Son's father and longtime boo "Booby" tied the knot the other night in a private ceremony. The pics are beautiful & to read all of the wonderful things he was tweeting the night it all went down makes me so happy for them. There are a couple more pics after the jump. 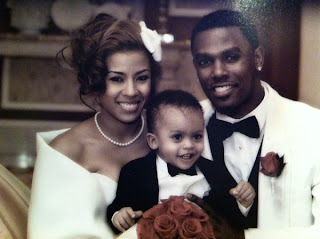 Congrats to their new family!!! One of the biggest nights in music occured last night. Billboard stunted on us last night with the white carpet and the stars came out! They had a ball and were fly doing it. Everybody from Nicki to Beyonce to Rihanna came out in a big way! Performances were amazing including the below clip of Beyonce performing "Run the World" & the crazy performance of Rihanna and Brit! From the performances to the White Carpet the stars showed out! 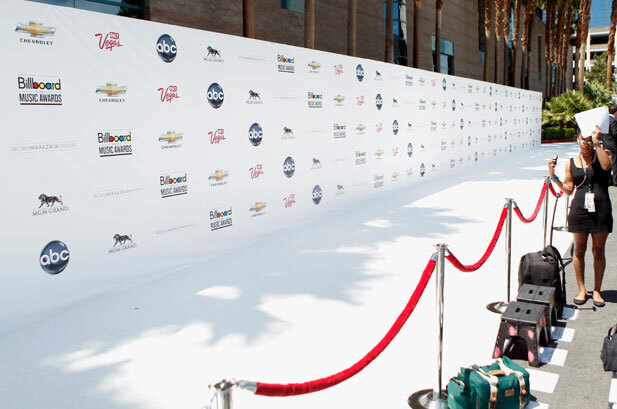 Happy Billboard Awards! lol Check White Carpet arrivals after the juuump! One of THE most influential voices in music has released a video from her single, "Sweeter". Kim Burrell released her video this weekend. Kim is known for her AMAZING ability to marry jazz and gospel in the most incredible vocal exercises known to man. Kim is respected by not only her peers in the gospel realm, but singers across all genres. She is in many minds the standard. So, when she debuted this video on twitter, I was eager to watch it! One thing I will say is that she is still Kim Burrell and the voice we have come to love and appreciate is still there and as insane as it ever was..but the video..?? What do you guys think? So we all sorta kiinda knew this would happen. The infamous Sylvia Rhone was President of Universal Motown. For over thirty years she's been establishing herself as one of the leading forces in this industry.. male or female. Rhone made her departure official on Friday, but speculation had been there for a few years now. Im not quite sure why.. I just have heard the rumors floating around for a bit. The hope from UMG is that she'll remain with the company just in a different role. Either way this marks the end of a very long run heading labels and such.. congrats to her on that. "She didnt expect it!" Ursher baby tells Shaun Robinson of Access Hollywood. Usher is among top celebs who can be seen on the talk show queen's second to last show to aire on the 24th of this month!!! & can we say that Grown man looks GREAT on him? I never really used to find him attractive.. but..these days honey.. 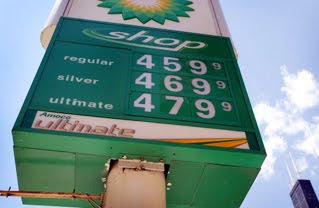 Pain at the pump continues for consumers while congress battle it out over eliminating tax breaks for big oil companies. The Senate on Tuesday blocked a Democrat proposal threatening strip the five top oil companies of billions of dollars that supporters said pad companies' pockets while drivers struggle. According to a story in The New York Times, Republicans, who on Wednesday will push their own plan to open more areas to oil drilling and speed government permits, said the Democratic proposal would contribute to higher prices and increase dependence on foreign oil even though a recent Congressional Research Service report predicted any impact on prices would be negligible. Bey's next album "4" is already receiving mixed reviews aallllready and its not out. LOL... people are just torn on whether or not her first single is up to "Bey" standards. For me.. its not. I was hoping for less dance club that she's been doing and something showing off her vocals more, but Im a singer so I would want that. I cant remember the last time I thought a French Manicure was hot, lol. Ive never really liked a tip on a nail, but Im trying to figure out how I feel about this new trend introduced during Fashion Week 2011 & Fall 2011. Also its said that Stedman is making a very rare appearance on the show! Check out pics of the set and a couple celebs during the taping after the juump! Congrats again to the queen of talkshows.. and beyond! Middle class banker in Chicago suburbs often looked out for the homeless guy on the street. She'd pass him a few dollars every now and then, but she always treated him with dignity & respect. When she found herself unemployed and homeless just months later, that same homeless guy stepped up and has raised over $9000 since December by panhandling and using the money to pay the banker & her 10 yr old son's hotel stay! think this is amazing. For the full story read on..
Associated Press photo of M-Bone taken in October 2010 during BET Awards rehearsals. Investigators are looking into leads regarding the weekend shooting death of M-Bone, one-fourth of the group Cali Swag District. The 22-year-old rapper, whose real name is Mante Ray Talbert, was killed in a drive by shooting outside of a liquor store, reported police in California. Nicki Minicki has dumped Diddy as her manager. Not hard for me to believe or understand.. Diddy and James Cruz were running her show but all of the while Diddy is doing his Dirty Money thing, seems like those two would be hard to balance. 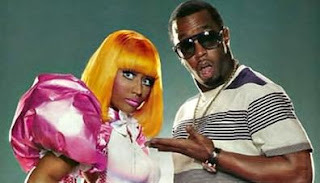 Word is Nicki just went over to Kanye & Jeezy's management Hip Hop Since 1978, so hopefully this be will be a better fit. Soooo... if you know anything about politics and Chicago you know that the Daleys have basically ruled as Mayor for a whole 2 decades plus some. Richard M. Daley occupied the office for almost 22 years!!! The longest time anyone has including his father! 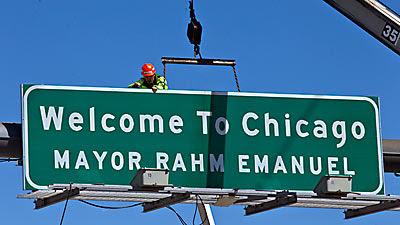 So, this is definitely a big deal for Chicago. Basketball Wives Still Beefing? : Tami Seemingly Threatens Evelyn via Twitter? Our President Dr. Beverly Daniel Tatum & First Lady Obama being bestowed with her Honorary Degree from Spelman! AWWWE SOME! 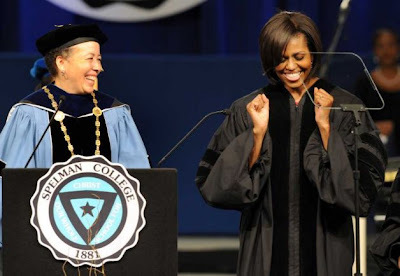 I was all boastful yesterday at the idea that my lovely Spelman Sisters c/o 2011 were blessed with the presence of First Lady Michelle Obama!!!!!!!!!!! Spelman is an amazing institution. I am honored to be apart of such a legacy, and as Sisters before them the c/o 2011 definitely stepped it up a notch. Im sure she was totally amazed by Spelman & will share the amazement with Sasha & Malia!!!! :) Catch her speech after the jump. So some of you are like.. umm KayKi.. why is this news!? Well.. Im glad you asked. Considering the history that these two have and how the majority of the world seems to be against Chris Brown for his domestic violence against Rihanna and his behavior since then, Ive been waiting on Rihanna to in some way show that she has forgiven him. That would definitely turn some things around in other people's minds. I know some of you feel some kinda way regardless, but its not uncommon for a victim to come forth and say that they forgive their offender and that statement help others to move on as well. So, when I got email that these two were following each other I made it my business to share with those finding it hard to move on from the past. Seems like Rihanna is figuring that out.. and you should too! Something tells me that this is going to be Kelly's best album yet. Even though I think people slept SO hard on her last one!! Here she is in a pic sent over twitter w/ one of THE hottest songwriters out right now Rico Love (There Goes My Baby *so they say lol* , Hey Daddy, Sweet Dreams, etc..)! This guy is simply talented! Anything he is touching lately is a hit so its no surprise that Kelly's single Motivation ft. Wayne is one! Anywho, Im excited about this album that Kelly is working on.. word is she has an AMAZING team of writers, producers behind it (Ester Dean, Stargate, Rodney Jerkins & more). Can you say BANGER??! Go Kelly!! 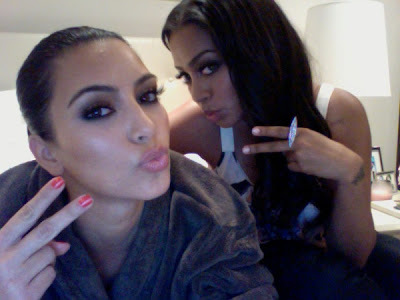 BFFS Kim K & Lala twitpic'd a few photos the other night from their girls night. What is up with this pose.. its so cute. Bffs make anything fun right?!? 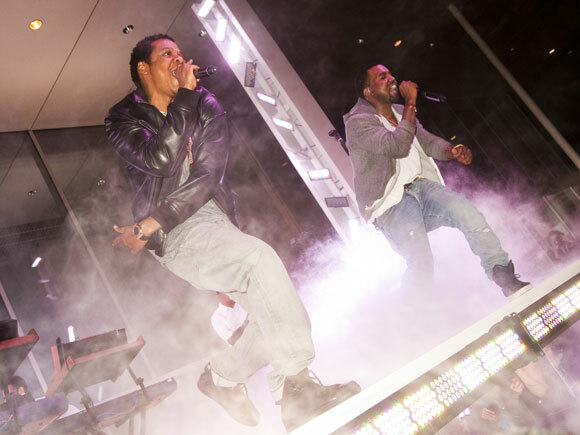 Jay Z Surprises Fans Joins Kanye on Set in NY at MoMA!!!! So youre at a concert watching Kanye rip the stage hitting all of his jams one by one & then juuuust when you didnt think it could get any better.. JAY Z walks out and the crowd.goes.bonkers! Thats exactly what fans experienced last night at the Museum of Modern Art in NY. Kanye headlined the annual fundraiser and I guess he thought it nice to bring his biig brother out with him. That was def a treat Im sure. Just a snippet... full set lyrics after you read on..
Ooooh I am SO proud of my boo ;) No really, this is beautiful! He & our First Family have been catching hell all week from conservatives including Palin who felt he is a "vile" rapper, for one flow they found in which he criticized Bush. Man, screw conservatives for having so many ill things to say about him! I cant take what they say seriously because they didnt do enough research. "The Light", "Ghetto Heaven", "Love Is" etc.. are examples of the real stuff Common has put out that speaks to the truth of our existence. Crews, businesses and residents desperate to escape the rising waters of the Mississippi River are working on levees and filling sandbags this week. The waters threaten the fertile Mississippi Delta and the river's crest hit a high mark in Memphis Tuesday, just inches short of the record set in 1937. The damage is costing communities millions of dollars in damage. 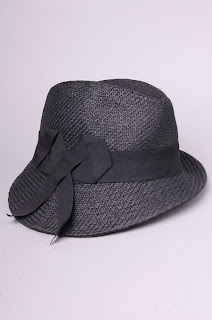 This Asymmetric hat from Akira is so.it! 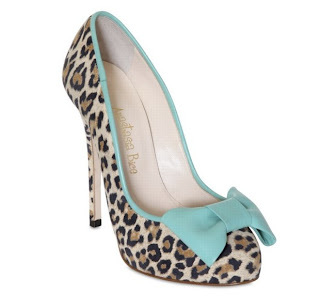 Def can dress this up or down. It can also be that piece you just throw on because you love it! & for $18 how can you lose?!?!? I LOVE this record. I have loved it every since I first heard it. Rihanna is THE crossover artist of life right now. This record is definitely country but she did her thing.. bravo Rih Rih. I love that this video is so soft too.. good to see her from this angle as opposed to the hard , rah rah, Rih Rih we've been seeing lately. Umm.. its sooorta awkward seeing my uncle in magazines and on ads for things, so imagine the awkward moment of watching this video?! LOL No.. Im SUPER proud of my Uncle TERRANCE (ahem Fox) McSwain for doing him! Mostly though for being a firefighter & risking his life to save others. GO Unc! Get 71% off a Marie Claire subscription with free shipping. MAN Im over this. Mr. & Mrs.Schwarzenneger announced Monday that they are officially separating. While their marriage has lasted 25 years..it hasnt been without its struggles as all marriages have. Monday though, the two released statements that validated what many had expected, theyve been living separate lives for a while. LA Times shared some of that statement on their website.. This was definitely a great interview last night, as to be expected with 60 minutes. It was really my first clear look at what was going on in President Obama's head as he was giving the command to take down arguably one of the biggest terrorists of our time. This interview gave a better understanding of how meticulous he has been throughout his Presidency and how that focus resulted in bin Laden's death. Sooo.. I recently received an invite to attend Glam Bar's anniversary celebration here in ATL. While reading the email I came across this product name and thought what is that about? Violent Lips??? 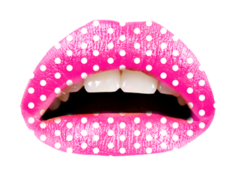 So I googled and was taken to their site that showed off this line of inexpensive temporary lip tatts. All of these funky patterns and colors looked really cool, but I didnt know how theyd actually look on people. So I ventured to their twitter page to see if maybe they had some consumers actually posting pictures of themselves wearing them and found a few.. I think this is pretty crazy..but fresh for like photo shoots and such..see a few more of the looks after the jump.. would you rock em? & all of the mommies around the world & to the nannies, aunts, grandma's, teachers etc assuming the role! I avoid this song because I cry like a newborn spanked baby every single.time.I.Hear.It!!!!! I cant contain the tears. I thank God for my Mom, Grandmoms, Godmommie, Sisters, and friends who are moms!! 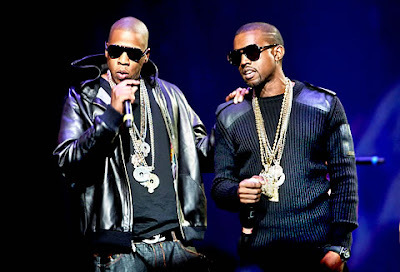 Jay & Yeezy FINALLY finishing up "Watch The Throne"
Looks like "Watch The Throne" is finally underway. Ive been wondering whats taking these two so long, but I think Jay has taken some well needed time off to spend qt with the wifey and well.. Yeezy just has been doing Yeezy lol..dets after the juuump! Save big on magazine subscriptions with low prices every day. Usher gave fans an extra special treat in FL! 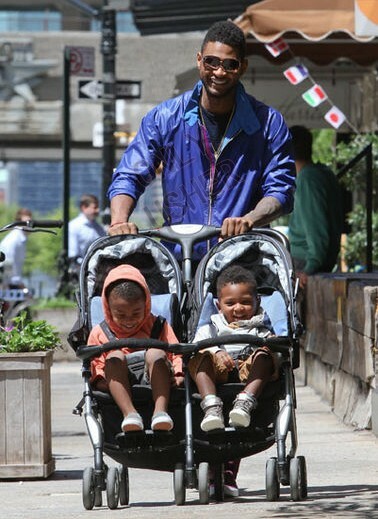 He brought his ADORABLE sons Naviyd & Cinco on stage for a minute! That Naviyd just seems like a hand full!! I love this.. so classic & it looks like Cinco may just be in his element!!! too precious! More pics after the jump! Chicago Bulls point guard Derrick Rose is the youngest player in NBA history to win the league award, second player in franchise history (the first was Michael Jordan, of course). At 22 years old, the southside Chicago native scored 1,182 points and received 113 first place votes from a panel of media voters. 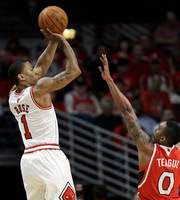 In his third year, Rose led the Bulls to their best season since the championship era of Jordan and Pippen. In the running, Dwight Howard came in second place, LeBron James came in third, Kobe Bryant was fourth place and Kevin Durant came in fifth. Congratulations to Derrick Rose! Mariah gave Nick the BEST gift ever for their anniversary... TWINS! Yes a boy and a girl.. way precious! Anywho, we've been referring to them as twins for days and now we can finally put a name to these baby millionaires lol .. Mariah hit up her site to give away the names of her babies and I think they are pretty interesting. They put thought into both of them, so that they have meaning.. learn what she named the bundles after the juuump... and again CONGRATS to them!! First Lady Obama & Beyonce Visit High School.. First Lady doin the Dougie .. Get it! How cool is our First Lady!? From the beginning of President Obama's campaign, First Lady Michelle has made her platform clear. Her love for our Military families and desire to keep our children healthy has been obvious. 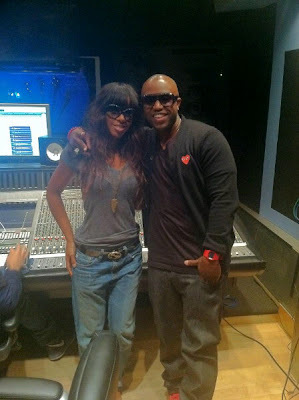 Her most recent innitiative involved Beyonce and a remix one of her most popular singles "Get Me Bodied". First Lady gets down after the juump. Who read the rumor recently about Kanye & Wiz catchin fade at Coachella?? Welp.. Wiz recently told MTV.. thats simply not the case. I think its what many people wanted to happen because Wiz & Amber are everywhere together, but according to Wiz.. didnt quite go down like that. "It's fun to talk about it and make jokes about, but in all reality, that didn't even exist,"
2011 Met Gala!!!! Jayonce booed!, RiRi, Yeezy & More..
Last night the who's who of entertainment and fashion came together for one of the biggest nights in fashion, the Costume Institute Gala At The Metropolitan Museum Of Art. This year was dedicated to the late great British designer Alexander McQueen, who is NO stranger to you BabyKayKs.. he was one of my favorite designers & therefore his work is always on this site. McQueen tragically took his life last year after a very hard year following his mother's death. The fashion world and entertainment world alike still reflects much of his visionary and cutting edge style. Celebs came out in full force to show love to the event as well as his memory. Vid of Jayonce's red carpet time which includes Jay being the perfect gentleman and trying to help Mrs. Carter make it through it that too tight to fight but amazingly artistic Pucci dress. When it got too much and they opted to leave, the crowd through a fit! Pics of Kanye, Kanye, Solange, JLo & more after the juuuuuump!